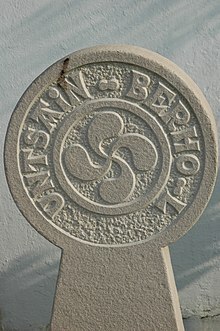 Under Restorationist and Francoist Spain, public use of Basque was frowned upon, often regarded as a sign of separatism; this applied especially to those regions that did not support Franco's uprising (such as Biscay or Gipuzkoa). Overall, in the 1960s and later, the trend reversed and education and publishing in Basque began to flourish. 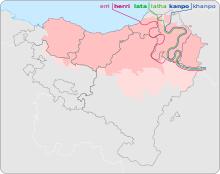 As a part of this process, a standardised form of the Basque language, called Euskara Batua, was developed by the Euskaltzaindia in the late 1960s. 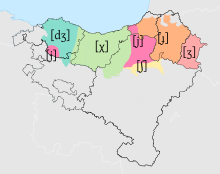 Besides its standardised version, the five historic Basque dialects are Biscayan, Gipuzkoan, and Upper Navarrese in Spain, and Navarrese–Lapurdian and Souletin in France. 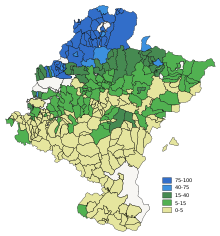 They take their names from the historic Basque provinces, but the dialect boundaries are not congruent with province boundaries. 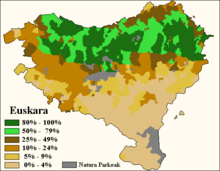 Euskara Batua was created so that Basque language could be used—and easily understood by all Basque speakers—in formal situations (education, mass media, literature), and this is its main use today. 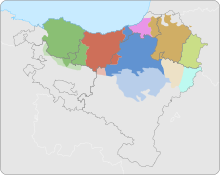 In both Spain and France, the use of Basque for education varies from region to region and from school to school. ^ EiTB. "Kintana: '¿Por qué no decir que el dogón nació del euskera?'". 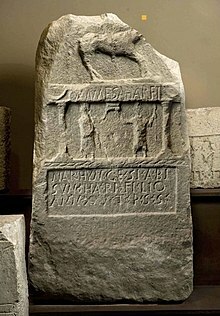 www.eitb.eus (in Spanish). Retrieved 2017-07-24. ^ Ray, Nina M (January 1, 2009). "Basque Studies: Commerce, Heritage, And A Language Less Commonly Taught, But Whole-Heartedly Celebrated". Scholarly Journals. 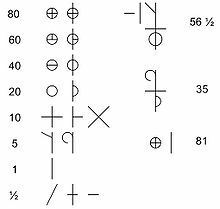 12 – via Linguistics and Language Behavior Abstracts (LLBA).